This OECD iLibrary theme subscription includes online access to all OECD books and databases related to environment from 1998 onwards. It includes the OECD Environment Outlook to 2050, Environment at a Glance, and the OECD Environment Statistics database as well as all the other books on the topics. The Online + Print option includes online access to al content online in all available formats as well as the delivery of print copies of all publications released during the subscription period. The online only option excludes the print delivery. The OECD Environment Statistics database provides a unique collection of policy-relevant environmental statistics. 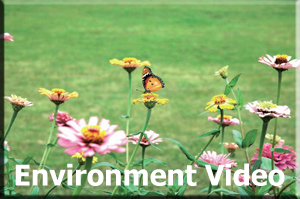 Coverage is provided for air and climate, biodiversity, forests, green growth, waste and water. - Without new policy, a world economy four times larger than today is projected to use about 80 more electricity in 2050. - In 2010, Germany's total GHG emissions were 24% below the 1990 Kyoto Protocol base year level. - Water demand is projected to increase by 55% globally between 2000 and 2050. - 84% of the climate change warming caused by humans has been transferred to the oceans.